Howard Jay Phillips (February 3, 1941 – April 20, 2013) was a three-time United States presidential candidate who served as the chairman of The Conservative Caucus, a conservative public policy advocacy group which he founded in 1991. Phillips was a founding member of the U.S. Taxpayers Party, which later became known as the Constitution Party. Phillips was born into a Jewish family in Boston in 1941, Phillips converted to evangelical Christianity as an adult in the 1970s and has been associated with Christian Reconstructionism. A 1962 graduate of Harvard College in Cambridge, Massachusetts, where he was twice elected chairman of the Student Council, Phillips was president of Policy Analysis, Inc., a public policy research organization which publishes the bimonthly Issues and Strategy Bulletin. Phillips resided in Fairfax County, Virginia in the Washington, D.C., suburbs with his wife, the former Margaret "Peggy" Blanchard. During the Nixon Administration, Phillips headed two federal agencies, ending his Executive Branch career as director of the U.S. Office of Economic Opportunity (OEO) in the Executive Office of the President for five months in 1973, a position from which he resigned when U.S. President Richard M. Nixon reneged on his commitment to veto further funding for Great Society programs begun in the administration of Nixon's predecessor, Democrat Lyndon B. Johnson. Nixon's appointment of Phillips as Director of OEO in January 1973 touched off a national controversy culminating in a court case in the United States District Court for the District of Columbia (Williams v. Phillips, 482 F.2d 669) challenging the legality of Phillips' appointment. Phillips left the Republican Party in 1974 after some two decades of service to the GOP as precinct worker, election warden, campaign manager, congressional aide, Boston municipal Republican chairman, and assistant to the chairman of the Republican National Committee. In 1978, Phillips finished fourth in the Democratic primary for the U.S. Senate in Massachusetts. In 1974, Phillips founded the Conservative Caucus, a nationwide, grass-roots public policy advocacy group. The group opposed the 1978 Panama Canal treaties and the Jimmy Carter-Leonid Brezhnev SALT II treaties in 1979, supported the Strategic Defense Initiative and major tax reductions during the 1980s, and fought to end Federal subsidies to activist groups under the banner of "defunding the Left." In 1982, Phillips joined the political activist Clymer Wright of Houston, Texas, in an unsuccessful effort to convince U.S. President Ronald W. Reagan to dismiss Houston attorney James A. Baker, III, from the position of presidential chief of staff. Phillips and Wright claimed that Baker, a former Democrat and a political intimate of then Vice President George H. W. Bush, was undercutting conservative initiatives in the Reagan administration. Reagan rejected the Wright-Phillips request, and in 1985, named Baker as United States Secretary of the Treasury, at Baker's request in a job-swap with then Secretary Donald T. Regan, a former Merrill Lynch officer who became chief of staff. Reagan also rebuked Phillips and Wright for waging a "campaign of sabotage" against Baker. The fight against Baker was not Phillips' first clash with Reagan. The year before in 1981, he had joined other conservatives, including the Reverend Jerry Falwell, in opposing the nomination of Sandra Day O'Connor to the United States Supreme Court. According to Phillips, "People say you can't tell how a Supreme Court nominee will turn out once on the bench. I respectfully disagree. In most cases, it's very clear. I opposed the nomination of Sandra Day O'Connor because it was very clear that she had a pro-abortion record in the Arizona State Senate and as a judge in Arizona. She was also allied with Planned Parenthood." In 1990, Phillips opposed the first President Bush's nomination of David Souter of New Hampshire to the high court. Phillips said that he opposed Souter because "I read his senior thesis at Harvard in which he said he was a legal positivist and one of his heroes was Oliver Wendell Holmes, Jr., and that he rejected all higher law theories, such as those spelled out in our Declaration of Independence. 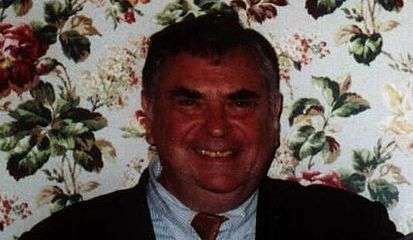 In addition, he was a trustee of two hospitals: Dartmouth Hitchcock and Concord Memorial. He successfully changed the policy of those two hospitals from zero abortion to convenience abortion." Other Conservative Caucus campaigns have involved opposition to the North American Free Trade Agreement (NAFTA) and the World Trade Organization, support for a national version of California's Proposition 187 (to end mandated subsidies for illegal aliens), as well as continuing efforts to oppose publicly funded health care, abortion and gay rights. Phillips was the host of Conservative Roundtable, a weekly public affairs television program. Phillips played an instrumental role in the leadership of the New Right, and in the founding of the religious right in the 1970s. He worked with fellow conservatives Paul Weyrich of the Heritage Foundation and both former Christian Voice co-activists Richard Viguerie and Terry Dolan to persuade the Reverend Jerry Falwell form the Moral Majority, and helped Judie Brown form the American Life League. Phillips was one of the founders of the U.S. Taxpayers Party (which changed its name to the Constitution Party in 1999), a third party associated with conservative, pro-life issues, and constitutional government ideas on both social and fiscal issues. He was that party's presidential candidate in the 1992, 1996 and 2000 elections for U.S. President. Phillips first campaigned for president in 1992, when he refused to support the re-election of George H. W. Bush in the race against Bill Clinton of Arkansas. He finished in seventh place in the popular vote. The campaign received 43,369 votes for 0.04% of the total vote. Phillips was chosen by an overwhelming majority of delegates at the National Convention of the U.S. Taxpayers Party, in San Diego, California, on August 17, 1996, to serve as its presidential candidate in the 1996 election. Phillips finished sixth with 184,656 votes for 0.19% of the total vote. In the 2000 U.S presidential election he received 98,020 votes for 0.1% of the total vote and a sixth-place finish. Phillips died at his home in Vienna, Virginia, on April 20, 2013 at the age of 72 after a battle with frontotemporal dementia and Alzheimer's disease. A private service was held on April 29, 2013 with Chuck Baldwin, the 2008 Constitution Party presidential nominee, officiating. ↑ Simon, Barbara "Strange Bedfellows: Jews, Apostates, and the Christian Right", Reform Judaism. Winter 1996. 1 2 "Political activist Howard Phillips dies". Washington Times. Retrieved 2013-04-22. 1 2 3 4 5 Weber, Bruce (2013-04-23) "Howard J. Phillips, Stalwart Conservative, Dies at 72", The New York Times. Retrieved 2013-04-24. ↑ Hudson, Deal (2008). Onward, Christian Soldiers: The Growing Political Power of Catholics and Evangelicals in the United States. Simon & Schuster. p. 82. ISBN 9781416565895. 1 2 3 4 5 6 7 Smith, Peter Jesserer (May 6, 2013) "Catholics Bid Farewell to Pro-Life Lion Howard Phillips", National Catholic Register. Retrieved 2013-05-06. ↑ "482 F2d 669 Williams v. J Phillips". OpenJurist. Retrieved 2013-04-22. 1 2 Black, Chris (1992-09-25) "Political activist loses to win Conservative takes defeats in stride in effort to build national antitax party", Boston Globe. Retrieved 2013-05-06. ↑ "Phil Gailey and Warren Weaver, Jr., "Briefing"". The New York Times, June 5, 1982. June 5, 1982. Retrieved January 27, 2011. 1 2 Flynn, Dan "Interview with Howard Phillips by Dan Flynn". Flynnfiles.com. Retrieved April 22, 2013. ↑ Kazin, Michael; Edwards, Rebecca; Rothman, Adam (2009). The Princeton Encyclopedia of American Political History. Princeton University Press. p. 196. ISBN 9781400833566. ↑ "1992 Presidential General Election Results", uselectionatlas.org. ↑ "Chuck Baldwin, "A Great Man Has Fallen"". renewamerica.com. Retrieved April 26, 2013. The Constitutional Education Project, founded by Phillips.